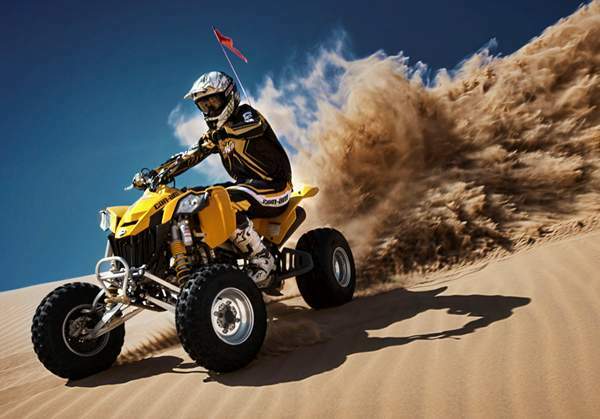 450cc sport ATVs are perfect for riding in the dunes. Nimble, powerful and great suspension packages right from the factory. With the industry’s first no-weld all-aluminum frame, hollow rear axle and inverted brake calipers. 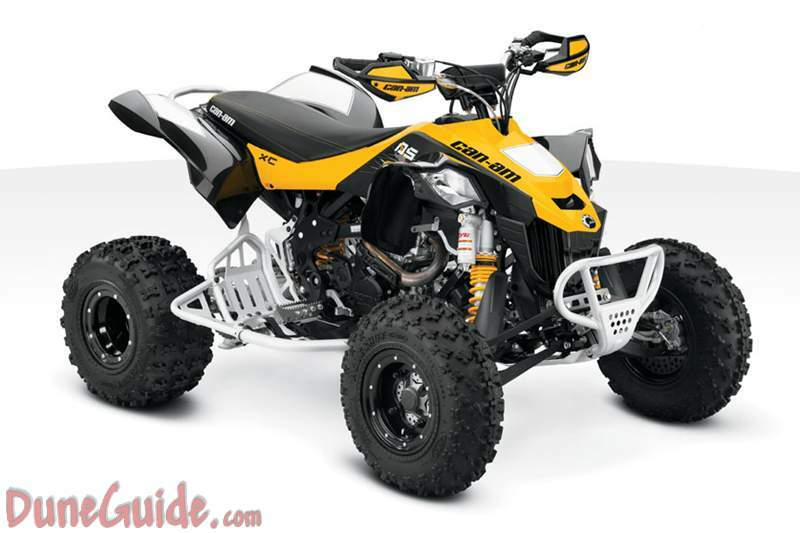 Can-Am then pushed the concept even further with two terrain-specific X models. The tight-woods racing DS 450 X xc and motocross-inspired DS 450 X mx. Both are equipped with industry-leading features and are ready to race right out of the box. 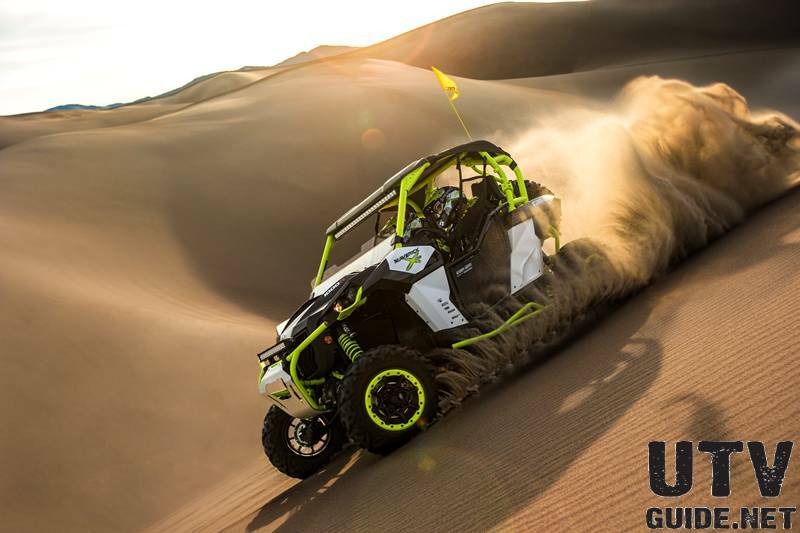 With its lightweight aluminum frame, long lower front A-arm suspension and a fully adjustable rear shock, the KFX450R offers track dominating handling and confidence-inspiring stability to compliment its powerful engine. 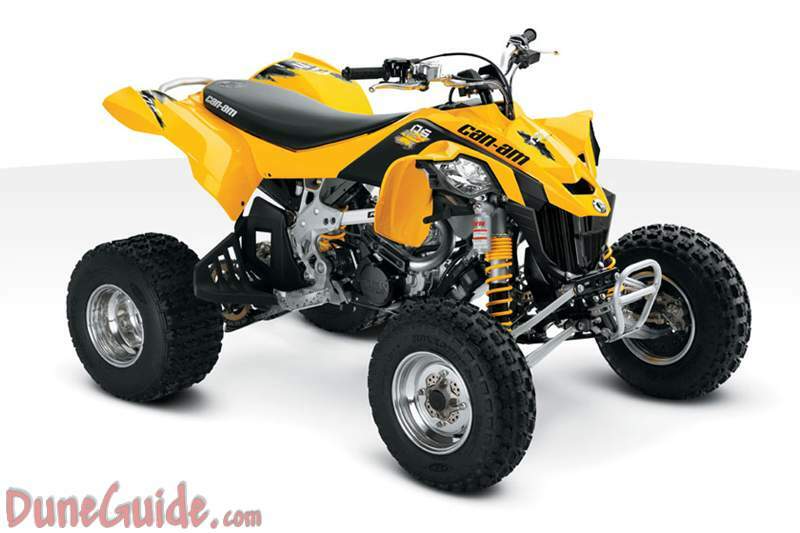 At the heart of the KFX is a 449cc liquid cooled, four-stroke engine that was originally borrowed from Kawasaki’s 2008 KX450F dirt bike then slightly reconfigured to perform more ideally in an ATV chassis. The four valve double overhead cam features titanium valves and aluminum valve spring trainers keeping the valve train light for more efficient and reliable operation at high RPMs. Its lightweight forged piston features a compression ratio of 12-1. Fuel system is 32-bit digital, with 42mm Keihin throttle body. Triple piston rings and a 21mm diameter piston pin help increase durability and reduce necessary maintenance. System measures coolant temperature, air intake temperature, air intake pressure, engine speed and throttle position, then automatically delivers the ideal amount of fuel to optimize power delivery. Extra-long lower front A-arms minimize camber variations through the suspension stroke, maximize front wheel traction and boost stability. Rear shock features both low and high-speed compression adjustability and adjustable rebound damping. Great power output doesn’t mean much without superior handling. YFZ450R delivers! The stance of the YFZ450R is motocross ready. The weldless frame is designed from lightweight aluminum, with a tension-steel bottom frame that lets the engine sit lower for excellent mass centralization. 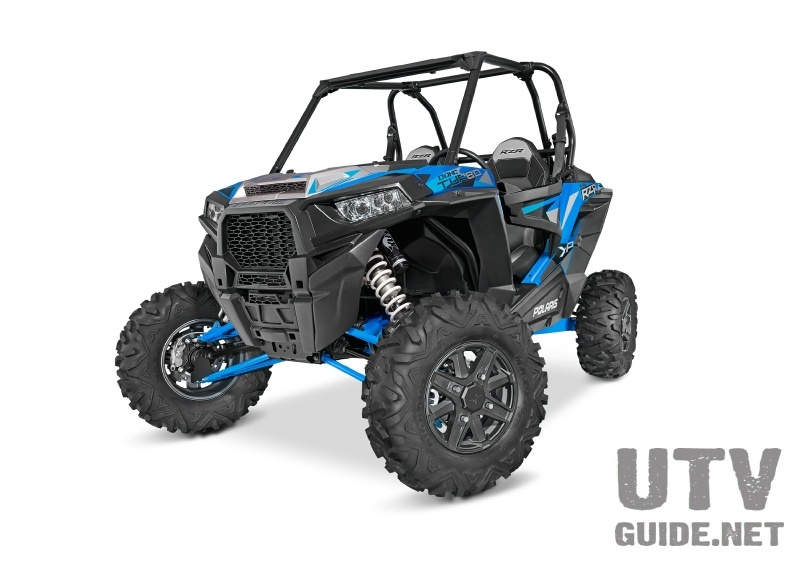 Suspension components have more travel, carefully chosen for best performance, and the front shock bodies feature Kashima coating for even smoother operation. The fuel-injected 449cc engine has superb power characteristics. Power delivery is smooth and strong off the line with lots of low and mid range where you need it. Fuel injection uses a 12-hole injector that provides exceptional atomization of the fuel for maximum combustion efficiency and power delivery. The system also uses a big, 42mm Mikuni® throttle body and includes ISC (Idle Speed Control) for easy, reliable start-up and warming. ProTaper® handlebars are mounted on 4-way clamps for exceptional adjustability. There are two sets of holes in the handlebar crown, and eccentric clamps so the rider can choose the standard setting, 10mm or 20mm forward, or 10mm back. 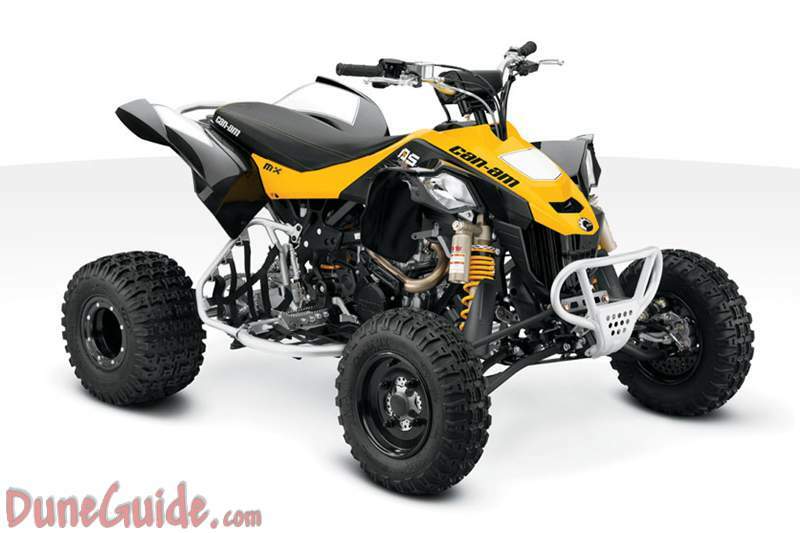 2011 Yamaha YFZ450R SE Model Home - The stance of the YFZ450R is motocross ready. 2011 Yamaha YFZ450X SE Model Home - Boasting many similarities with the YFZ450R, the X version is more compact for tight trails, race course, and wood riding. 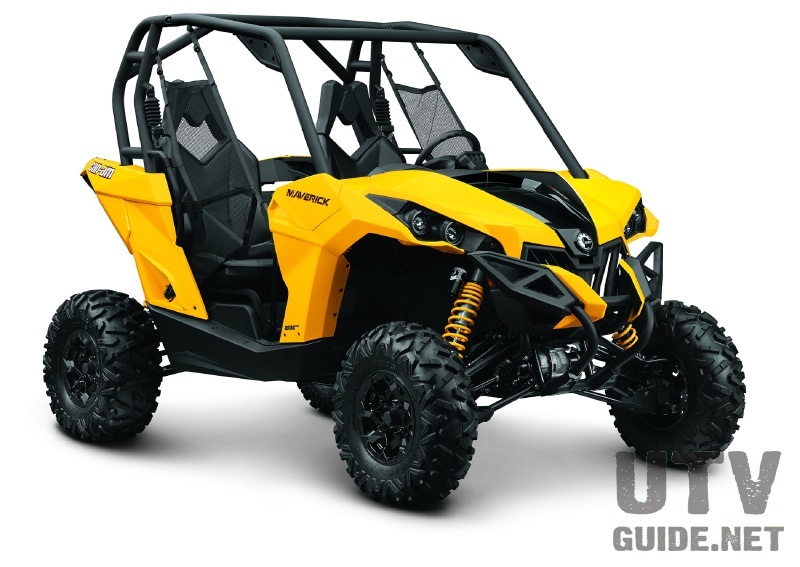 Available in manual - and electric-start versions, the mighty TRX450R has won races in virtually every ATV racing arena as well as four victories in the grueling Baja 1000. The TRX450R's secret: just a perfect balance of power, handling and reliability. And to top it off, the TRX450ER gives you the added versatility of electric start, to make sure you keep going strong even after pit stops or other stop-and-go events. CRF®-derived Unicam valve train features a lightweight, compact single-cam drive and optimum combustion-chamber shape for maximum power at all engine rpm. Twin-sump lubrication system separates the oil supply for the crankshaft, piston and valve train from the clutch and transmission. Suzuki fuel-injected 450cc powerplant offers astounding top-end performance, with a technically advanced chassis and responsive, long-travel suspension so you can conquer the toughest tracks. Race proven four-stroke, single cylinder, fuel injected, liquid cooled, DOHC. Four valve engine designed to be compact, lightweight and provide incredible performance. Advanced and lightweight electronic fuel injection system with a 42mm bore and multi hole type injector for optimum atomization, smooth throttle response and maximum performance. Incredibly wide independent double wishbone front suspension with fully adjustable Kayaba piggyback reservoir style front shocks featuring 40mm pistons and a sturdy 14mm shock rod for superb damping and incredible performance.